Big news from Traidcraft Exchange’s Hidden Entrepreneur appeal – highlighted in INSPIRE last year – is that it raised an excellent total of £548,530. Best of all, thanks to the UK Government’s UK Aid Match scheme, this has been doubled to make a final total of £1,097,060 – a phenomenal amount*. Early this year, people came together all over the country to hold coffee mornings, organise church collections, take on sponsored challenges and even cycle around the world to support Traidcraft Exchange’s Hidden Entrepreneur appeal! This amazing total is supporting projects in Kenya, Bangladesh and Senegal, helping people in the world’s poorest communities come together and get the support they need to set up businesses which enable them to leave poverty behind for good. In Meru county, Kenya, for example, more than 60% of people are illiterate, 50% are in debt and 44% can’t regularly provide enough food to properly feed their families. Women farmers there are keen to use the power of entrepreneurship to change the future for their families. They just need some support to get going. We’ll be helping them form groups with like-minded peers and providing training on vital business skills. But the really exciting thing is not so much the collectives that are formed, or the training that takes place … it’s what happens next. By working together and supporting each other, these women will have a stronger voice in negotiations with the people who buy their produce, so they can negotiate for fair prices, earn more and improve their living conditions. Thanks to your support, thousands of hidden entrepreneurs in Meru county, Kenya – and all over the world – can at last use their skills, their determination, and their enthusiasm to build businesses that feed families and send children to school. That’s what your donations are doing – changing the world one entrepreneur at a time. You might remember reading on this website all about a lady called Halima from Bangladesh. She’s a hidden entrepreneur – someone you wouldn’t necessarily think of as a business success, but who, nonetheless, has created something special, thanks to the support of people like you. Just to remind you, Halima didn’t always run a successful business. Before taking part in Traidcraft Exchange’s project, she earned only three months of the year, processing jute sticks. The work was hard – standing in cold water, and pulling the long jute fibres from the sticks to sell. Rather than money, she was paid in jute sticks, and struggled to earn enough to support her family. Her children often missed school as she couldn’t afford the bus fare. 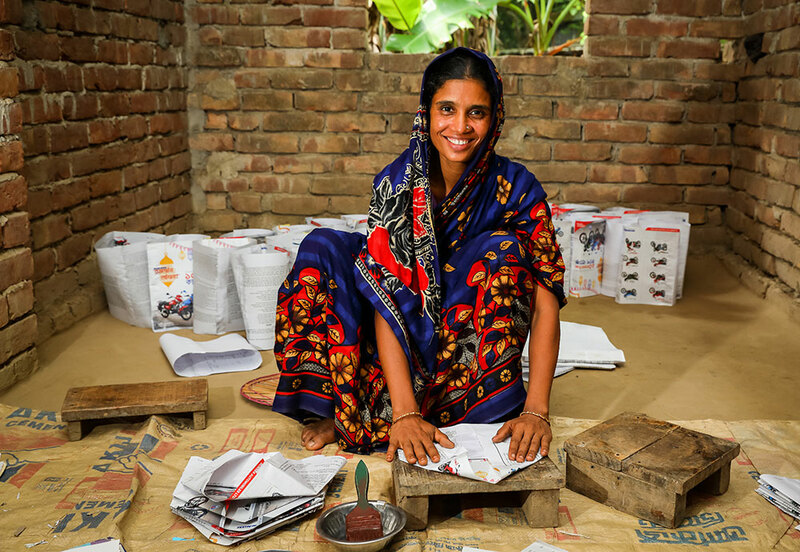 After joining the jute cooperative, and receiving business training and access to loans, Halima found inspiration at her local market – spotting an opportunity to create bags from waste paper for people buying fruit and vegetables. Local stallholders now buy them directly from her, her children attend school every day and she’s thinking of employing another woman from her village to help her out. Thanks to your support, and the success of the Hidden Entrepreneur appeal, Traidcraft Exchange can reach more people like Halima across the world, helping them to turn their potential into profit and use that to feed their families and educate their children. 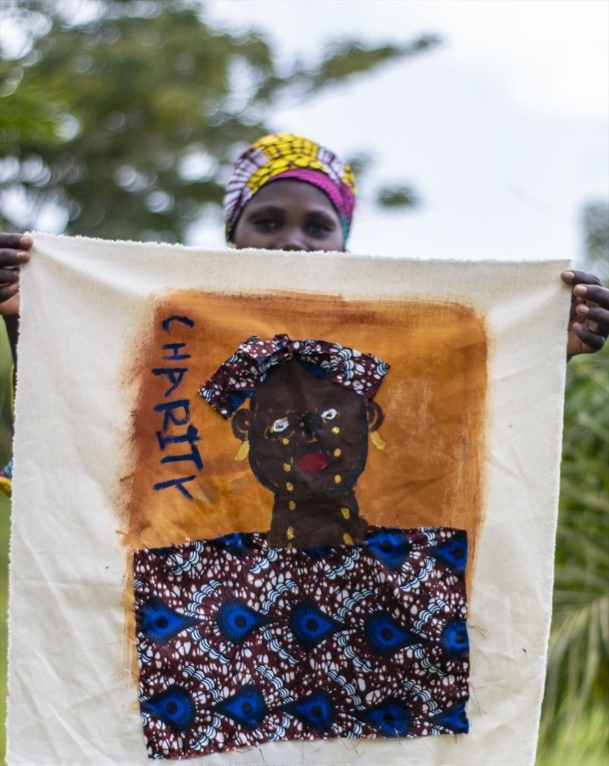 To learn more about Traidcraft Exchange’s work and how you can get involved, go to www.traidcraft.org.uk, give us a call on 0191 497 6445, or email us at hello@traidcraft.org. We’d love to hear from you!